All of the information regarding the hauntings of this establishment are from Robert Parker's awesome book, Haunted Louisville 2: Beyond Downtown. 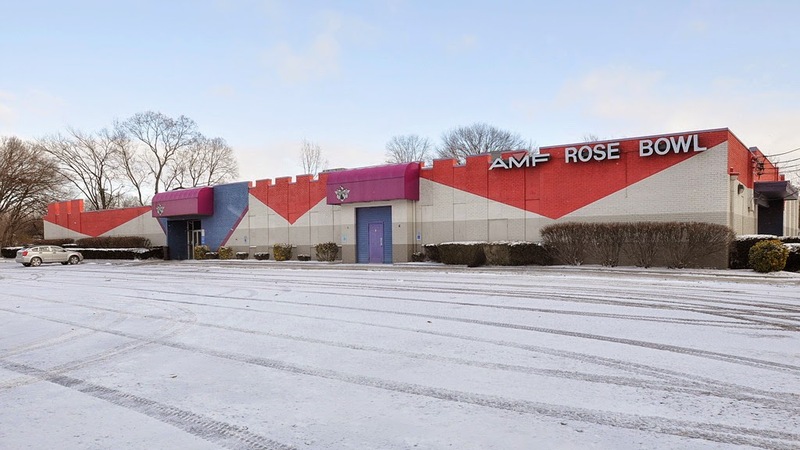 The Rose Bowl bowling alley in Louisville is an older, yet quaint little spot to spend some family time on the lanes, or some grown-up time in the on-site bar. While many of the online reviews mention its a little shabby, perhaps a tad outdated...many counterbalance those claims that its a great value for what it is and it surely evokes a sense of nostalgia for many. For me, the fact that its known to be haunted is enough for me! Staff call the resident ghost 'Amy,' and believe that she was an equestrienne who was killed by falling off her horse way back in the first half of the 20th century when the area was all farmland...way before even Father Mahoney purchased the property for use with his Boys' Haven, a home for orphaned boys. Amy is said to make herself known through a number of different ghostly phenomena, such as giving one waitress a hard time by undoing all her hard work getting the tables ready for the next day. Amy is also blamed for equipment malfunctions, lights turning themselves on and off, and the sounds of machines running well after all power has been shut off for the night. A few times, Amy has made her presence known visually. A young employee working the snack bar witnessed a dark shadow walk by a doorway, followed by the sounds of someone opening the walk-in cooler. A female employee stated that she's also seen Amy a few times, always in the bar area, and always out of the corner of her eye. Unfortunately, she disappears before a good description of her can be assessed. If you'd like to learn more about Amy, definitely check out Parker's book, but if you're in the area, take an evening trip down to the lanes. Come for the ghost stories, but stay for a quick, affordable game in a cozy, haunted bowling alley!